Our repair of the lower windshield frame continues in this update as we wrap up progress on the drivers side corner. As you recall, the replacement panel has now been welded in place and is ready for some ‘finishing touches’. However, before getting to far into that, I decided to repair an area of deterioration located on the lower windshield frame cross member. As with all of these repairs, the work starts drilling out the spot welds, cutting out and removing the area of rusted steel. Because I was unable to form the tight bends required for the patch from a single piece of steel this patch panel was fabricated from two separate pieces of steel and then welded together. After fabrication the patch panel was clamped in place and welded all around. Also note that a spot weld was added near the center of the patch piece. 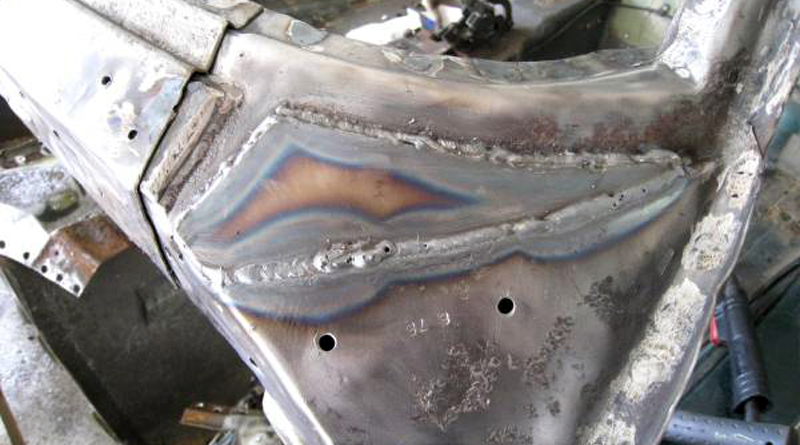 After welding the welds were ground down to provide a smooth, uniform surface. With the horizontal cross member repaired it was time to complete the drivers side lower corner repair. The only work left to be completed was building out the hatched area shown in the photo below. Because this repair panel was from a late 70’s Corvette building this area out is necessary to match the OEM equipment on this 71 Corvette. The modification was fairly straightforward. Several pieces of 16 gauge steel were cut to size, bent to shape and welded in place – one on top of the other. In total, three layers were used to build out the section. As I completed this repair, I made an interesting discovery. Rather than using a standard grinding disk in my angle grinder I decided to try a very course grained flap disk to grind my welds down. Much to my surprise this removed metal MUCH MUCH faster than a grinding wheel ever could. 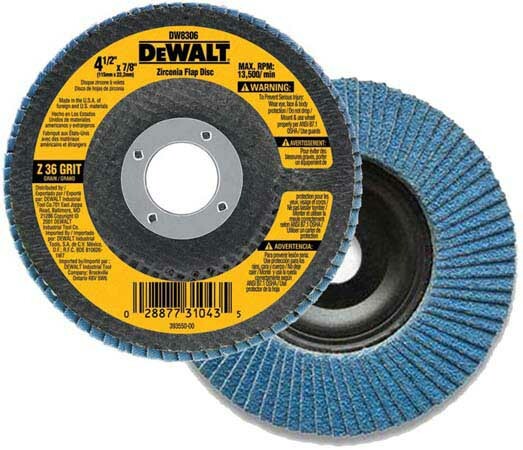 Although a bit on the expensive side, they work great and leave a very nice finish! After quite a bit of work, the nearly finished drivers side lower corner is shown below. At this point all that’s left to be done is to fill a few of the minor voids and pits with some body filler to produce a nice and smooth surface to attach the firewall to. And here’s a comparison of the original rusted out piece and the repaired corner. In the end the patch panel matches the original quite closely. All that’s left now is to start this process all over on the passenger side lower corner. Work on that repair is currently underway and will be posted here in the near future!